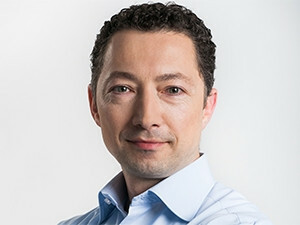 PayU believes new EMEA CEO Mario Shiliashki will steer the ship to the new frontier in e-commerce and fintech omni-payment. Newly-appointed PayU CEO for EMEA Mario Shiliashki wants to grow the business through acquisitions in the territory. The company believes Shiliashki will steer the ship to the new frontier in e-commerce and fintech omni-payment. According to Shiliashki, so far, Naspers' acquisition strategy has been high growth markets, whether they are emerging or developed. "This is where you can step in and build or buy an existing player and continue to grow as a business as well as in the market. That's what we look for in all the markets we operate in. One of our opportunities is how do we create that linkage among our markets. "Currently, there is very little of that being done. Everything is very local. But as we grow the business and the brand internationally, there are a tonne of cross-border trades that happen in between a lot of our markets and with markets that we are not present in - specifically Western Europe and the US. Building those relationships in each region - not necessarily starting businesses there - by getting the US and UK merchants to be served better with the local consumers we have in SA or Turkey or India." Commenting on the South African market, he says: "I do believe there will be opportunities to incubate something here, and take it across Africa to another market. But how do we build a consumer product that actually solves something? "To me, the most exciting part is figuring out what that is and solving it leveraging all Naspers' assets." Shiliashki was previously with MasterCard for around five years, leading the e-commerce business globally in what used to be called emerging payments, now digital payments. Before that, he was with PayPal for seven years, where he spent two years helping to set up the European business. He spent his past three years at PayPal building the Asia business. PayU says with a depth and breadth of knowledge in the payment ecosystem, Shiliashki has layered insights into where payments, payment providers and e-commerce is heading. "One of the reasons I joined PayU is that there's a massive opportunity in front of us in the payments space and beyond, as well as in fintech and in financial services in general for merchants and consumers," says Shiliashki. "At PayU we are multinational, or multi-local as we are calling it now. We have a very strong business in South Africa, and other key markets like India, Colombia, Poland, Russia, Turkey, Romania; and building strong positions in other markets. These businesses are each built from the ground up, which ensures we have a very strong base," he adds. He points out that thanks to the company's relationship with Naspers, with an amalgamation of digital media and e-commerce properties and assets around the world, PayU can create something unique.